Most of the book discovery strategies we’ve discussed on the Author Marketing Institute can be done from the comfort of your own computer. This makes sense because you’re marketing a digital product in a digital age. But since not all e-retail platforms operate using new digital practices, your success off of Amazon may require some travel and face-to-face interaction. As we’ve previously mentioned, sales and popularity on Amazon is heavily tied into the website’s algorithm. You’ll be displayed on more searches if you sell more books at a higher price. You’ll stick higher up in the sales rankings if your sales are spread out over a few days. While Amazon does some editorial choosing for its Deal of the Day promotions, most of the books it features are part of an automated process. The other ebook retailers use some automation, but there’s also a lot more selection by members of each site’s merchandizing staff. First and foremost, merchandizers for iBooks, Nook Press, and Kobo are likely to choose books that are already selling well. Unless you’re constantly ranking high on those platforms to begin with, you won’t get chosen during that stage of the game. 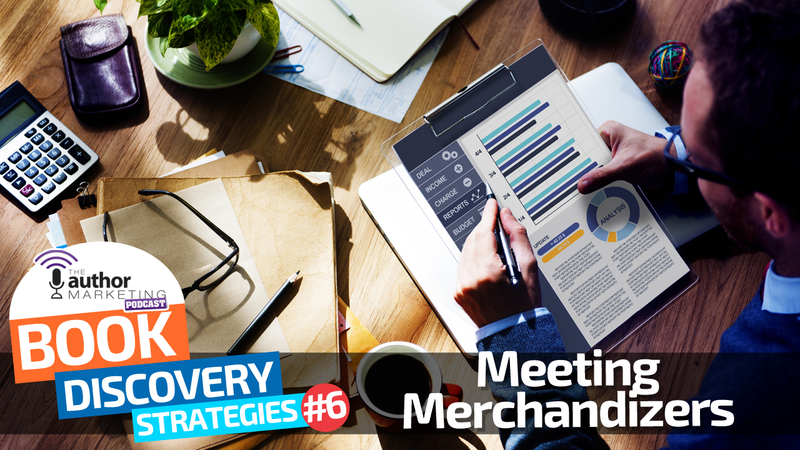 However, if you meet and connect with these merchandizers, your face-to-face efforts may be well rewarded with prominent placement. Before Amazon dominated the ebook landscape, getting featured online or in a book store was the result of negotiations between a publisher and a book store or website. While Amazon usually doesn’t take payments for features of that kind, several of the other retailers continue to negotiate with publishers for online placement of books. If the non-Amazon retailers could get paid for every space on their site, then that’s likely what they’d do, but there are simply too many spaces available and too many readers hunting for their next fix. When the retailers figured this out, they began letting self-published authors jockey for space. Non-Amazon retailers get plenty of emails requesting placement or marketing assistance, but you get a lot more impact from a face-to-face meeting. It’s easy to dismiss an email address to the digital wastebasket, but when you see a person and hear their pitch, you can’t help but want to assist. Even though reps at non-Amazon platforms don’t always have a gleaming reputation, these are people who love books and want authors to succeed. When they see that you’re an author who writes well, understands marketing, and wants to keep putting books into reader hands, you’ll be well on your way to a featured promotion. As authors have experienced decreased revenue from going exclusive on Amazon, they’ve sought out improved earnings from the other platforms. While some tactics that work on Amazon like the use of keywords carry over to Apple, Kobo, and Nook Press, getting featured is the only surefire way to sell more books through the other retailers. It’s an absolute must for multi-platform success. Meeting with merchandizers is probably the simplest of the book discovery strategies, but it will require travel, money, and time. The first step is finding out where the representatives of the various platforms will be taking meetings or setting up a booth. The major retailers like iBooks, Nook Press, and Kobo are a fixture at big-time conferences like Book Expo America and the London Book Fair. Since these events are so big and crowded, you may want to consider trying to strike up a conversation during a smaller conference. To find where the reps will be, start by emailing each retailer to ask. Kobo will be the quickest to respond with the most human attention, but you may be able to get the info you need in this manner from iBooks and Nook Press as well. If you’re unsuccessful, check out the list of speakers at writing conferences in your area. The events with a slight self-publishing focus are the likeliest candidates for merchandizing rep attendance. Once you’ve found the closest conference that will feature representatives from the retailers, save up for your trip and take the necessary time off work. Depending on the size of the conference, you may need to schedule a meeting to get face time with the reps. In most cases, however, you can skip a presentation or two and go chat up the reps while most of the attendees are listening to the speakers. You’ll want to know your pitch and have a set of business cards handy to distribute. You should know approximately how many books you’ve sold, and you should be prepared to bring up your book on a mobile device (on that retailer’s platform). The better your book looks and the better reviews you’ve obtained, the more likely it is that the rep will want to hear you out. Beyond the pitch part of the encounter, you should be ready to have a regular old conversation. Reps want to hear your story and know that you’re a human being, as opposed to just an email address. That way, when you follow up with them, they’ll remember exactly who you are. After the conference, follow up with the rep as soon as you can. Make sure to provide any information the rep requested from you, such as your title, the link to your book, and any other marketing materials. Don’t be a pest, but make sure to follow up just enough to get your book featured. After you’ve secured the feature, check back in with the rep every couple of months to see if you can get your book back in a prominent place. There are ways to connect with reps without meeting them in person. Perhaps you know a friend who has a connection with a rep, and this person can act as an intermediary for the two of you. But if you don’t have friends in high places, you’re going to need to make the effort to introduce yourself. Beyond connecting with reps, you never know who you’ll meet at these conferences and other events. In addition to getting a foothold on the non-Amazon platforms, you may make other contacts who will lead to additional sales opportunities. The only way to make those connections, however, is for you to leave your living room and get your face out there.